A Zoroastrian cleric from the city of Yazd says the Iranian followers of Prophet Zoroaster highly respect the third Shiite Imam, Hussein Ibn Ali, because of his historic defence of the oppressed and the truth. Rostam Kavousianzadeh, a Zoroastrian eulogist of Imam Hussein, says the Zoroastrians’ special love for and dedication to Prophet Muhammad’s grandson has a historical root and reaches its peak with the beginning of Muharram and the Day of Ashura. “A person who devoted his life and family to a divine cause and the defence of the oppressed, definitely deserves respect,” noted the Iranian mobad. According to the Zoroastrian cleric, his family has highly respected Imam Hussein and his children for many years. He also added that every year in Muharram, especially on the days of Tasu’a and Ashura, his family distributes free food among people. Kavousianzadeh, who runs an office of marriage and divorce registration in Yazd, further noted that no marriage and divorce is registered for Zoroastrians during these days in a move to show respect for the month of Muharram and the Day of Ashura, when Shiite Muslims mourn the martyrdom anniversary of Imam Hussein and his companions. He also pointed to the importance of preserving unity among Iranians on various issues, noting that Yazd is among the cities in which the followers of various religions including Zoroastrians, Muslims and Jews live peacefully together. Yazd province has a population of 138,000 people, and about 6,000 of them follow the Prophet of Ancient Iran Zoroaster or Zarathustra. These people mostly live in the cities of Yazd, Taft, Ardakan and Meybod. The number of Zoroastrians in the world is estimated to be around 150 to 200 thousand, of which about 30,000 people live in Iran. 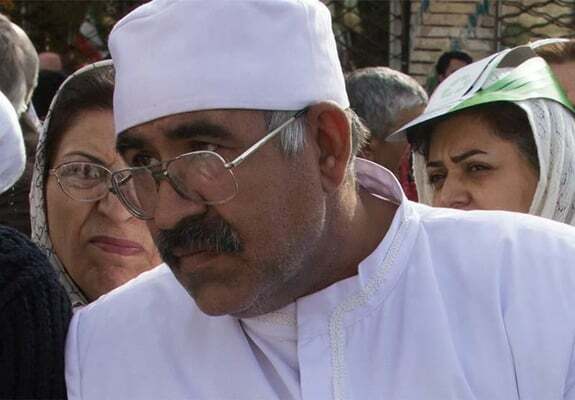 Zoroastrians in Iran have a seat in the country’s parliament, and now one of the 11 members of the Yazd City Council is a Zoroastrian man.